Getting around in Japan is very easy, thanks to its highly efficient, developed, and modern transportation network of airplanes, trains, buses and ferries. These companies offer flights within the country, flying in and out of Japan’s major airports, such as the Haneda and Narita Airports in Tokyo, Kansai Airport in Osaka, Central Japan Airport in Nagoya, Fukuoka Airport in Fukuoka, Shin-Chitose Airport in Sapporo, and Naha Airport in Okinawa. Because the airline industry in Japan has become competitive in recent years, domestic airfare promotions and discounts are frequently offered, sometimes making planes an affordable alternative to the Shinkansen. The Shinkansen (bullet trains) is the fastest mode of transportation for intercity travel. It has been around for many decades now and continues to be a popular choice among both local and foreign tourists who are looking for a fast, efficient, and reasonably-priced way to explore the country. Today, there are multiple Shinkansen lines in Japan, extending from Kagoshima in the south to Hakodate in the north. 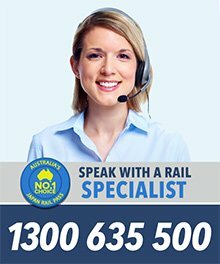 They are run by Japan Railways. All Shinkansen trains have ordinary cars, which have regular-sized seats and foot space, and green cars, which have bigger seats and foot space, thus offering more space and comfort. They also have reserved and non-reserved cars (except for the Kagayaki, Komachi, Hayate, and Hayabusa trains, which require reservations), smoking and non-smoking areas, restrooms, and vending machines. When purchasing a Shinkansen ticket, you pay for a base fare and for a seat reservation separately. You can buy from any JR ticket machine or JR ticket office at any JR station. 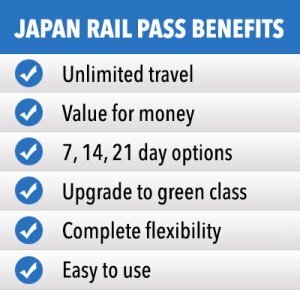 If you are travelling to multiple cities, it might be cost effective to buy a Japan Rail Pass instead of individual tickets every time. 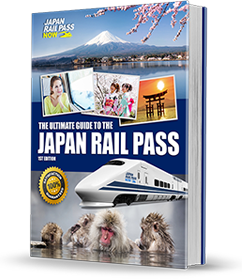 A Japan Rail Pass is valid for use on the Shinkansen (except on Mizuho and Nozomi trains), and JR-operated trains and buses all over Japan. With it, you can get on a Shinkansen, JR train, and JR bus as often as you want within a specified time period. 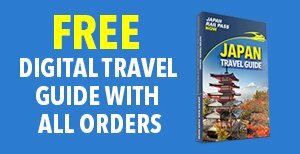 You need to buy your Japan Rail Pass before you head to Japan as it is only available for purchase to foreigners outside the country. 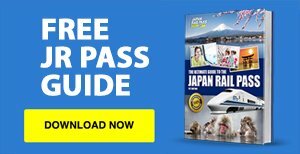 You will get a voucher that you will have to exchange for the actual JR Pass at any JR ticket office once you are in Japan. Travelling by train is a convenient way to see the sights of Japan as all big metropolises and other touristy cities consist of reliable and extensive railway networks. In metro areas it may be worth getting a IC Card such as Pasmo or Suica. You can read more about how to travel by train in Japan here. Buses offer services for both short distance (within a city) and long distance (between cities) travel. In many of the big cities, buses are second to trains in terms of commuters’ choice of transport. To board a bus, simply look for its designated bus stop and get on through the door at the back. Do not forget to take a ticket from a box-like machine by the door as it will be used to determine how much you have to pay for fare before you get off. Once your stop approaches, press a stop button on the wall to alert the bus driver that your stop is coming up next. Prepare exact change to pay for your fare and drop it and your ticket into the machine next to the driver. If you have an IC card, you just tap it onto the sensor when you enter and need not take a ticket. Tap the card again onto the sensor next to the driver when you get off. Highway buses are a cheaper alternative to trains for commuters who do not mind a longer travel period going from one city or region to another. Usually, reservations are required by phone, online, or travel agents for these buses, especially during holidays and peak seasons. However, it is also possible to purchase tickets at the bus stations minutes before departure during low seasons. Japan is an archipelago, so travelling by ferry from one of its islands to another is a common way to get around. Even though Japan’s major islands — Shikoku, Kyushu, Hokkaido, and Honshu — are linked by numerous airports, railways, tunnels, and bridges, there are smaller islands (e.g. Okinawa, Daito Islands) that can only be accessed by ferries. Ferries not only carry people but also cargo and smaller vehicles. They can be small and accommodate about 50 passengers and a few cars, or large, usually travelling longer distances and having more facilities, such as common rooms with tatami mats, dormitory with beds, private rooms with 2 to 4 beds, restaurants and public baths. In the more rural parts of Japan, public transportation may be less efficient in comparison to Tokyo, Osaka, and other urban areas. For this reason, many tourists opt to rent a car for convenience. In order to rent a car in Japan, you need to be at least 18 years old and possess an International Driving Permit or IDP, which you must obtain in Australia before going to Japan. 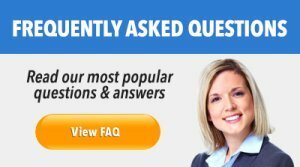 Once in Japan, you may rent a car from any of the country’s car rental companies, including Toyota Rentacar, Orix Rentacar, Times Car Rental, Ekiren, Nissan Rentacar, and Nippon Rentacar. 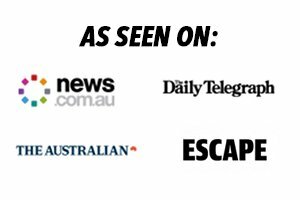 Each one has multiple offices around the country (at airports, train stations, etc.) and offers a wide selection of vehicles, from RVs to buses and vans to sedans, that are equipped with GPS. Generally, car rental fees per 24 hours range from 5,000 yen for a compact car to 20,000 yen for large vans. Bicycles are quite commonly used by Japanese people. They are a cheap and healthy alternative transportation option for getting around. For tourists, bicycle rentals are available at various sights and attractions. Many actually prefer this to taking the bus or train as it is less expensive and provides a better opportunity to explore the hidden gems of a particular place. Bike rental fees range between 100 and 300 yen for a one-hour period, or around 1,000 yen for an entire day.